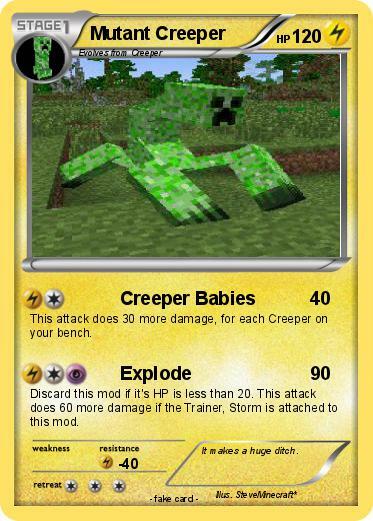 This attack does 30 more damage, for each Creeper on your bench. Discard this mod if it's HP is less than 20. This attack does 60 more damage if the Trainer, Storm is attached to this mod. Comments : It makes a huge ditch.